With 6 faces, 12 edges and 8 corners a cube seems like a fairly uninspiring object. 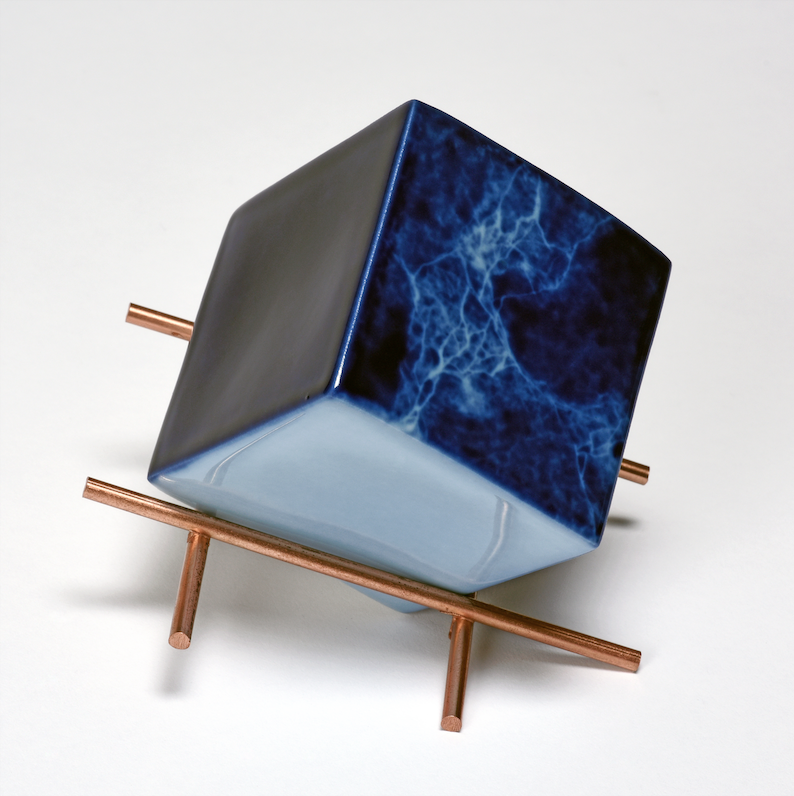 But when the cubes in question are the porcelain ones made by artist Emmanuel Boos to test his glazing, the cube becomes both an artwork and a scientific experiment. 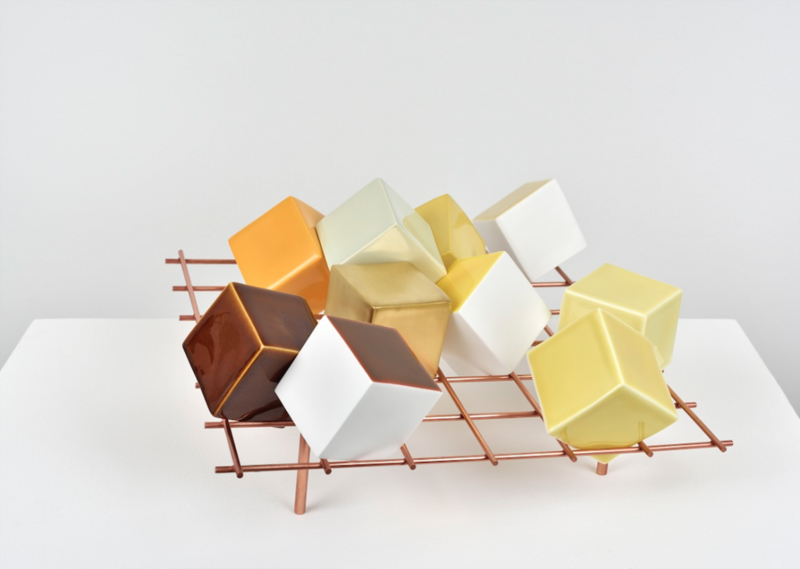 After spending the last two years at the Manufacture de Sèvres laboratory, the ceramic artist has experimented with and intimately gotten to know the colored palette of glazes he has developed. 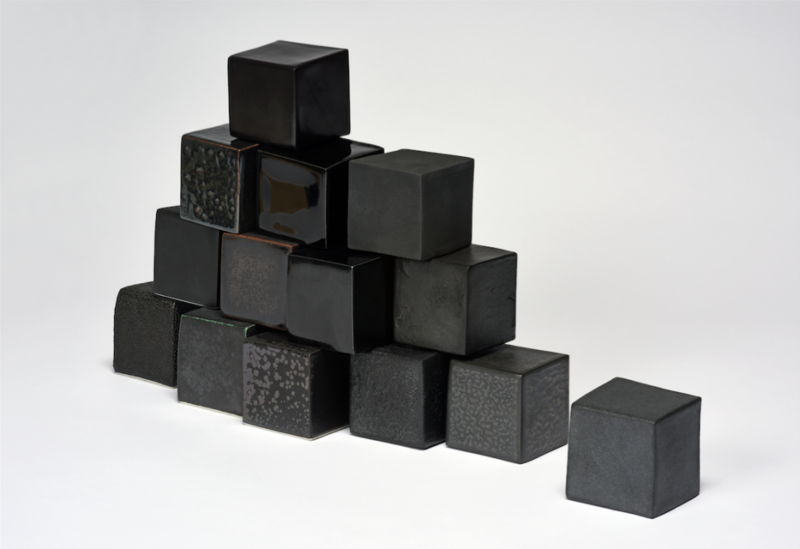 To meticulously study each glaze, Emmanuel Boos has identified the cube as the perfect form. 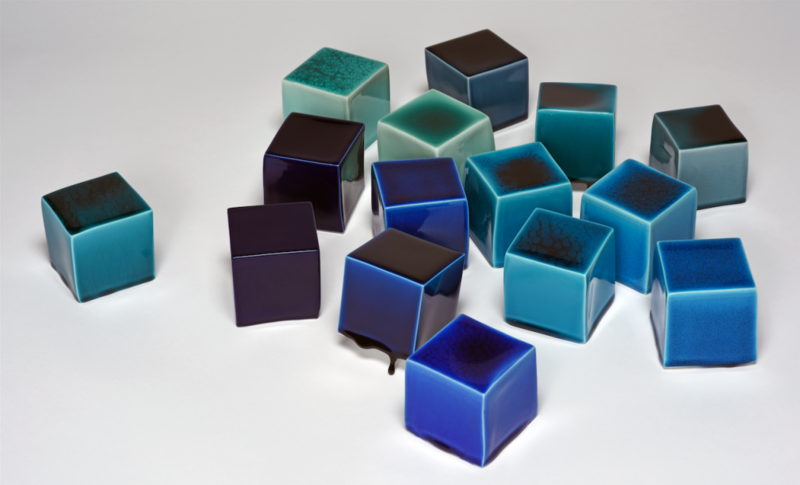 It’s shape allows him the observe the way the enamel glaze reacts to the high heats of the kiln on the vertical and horizontal planes as well as on the sharp edges. 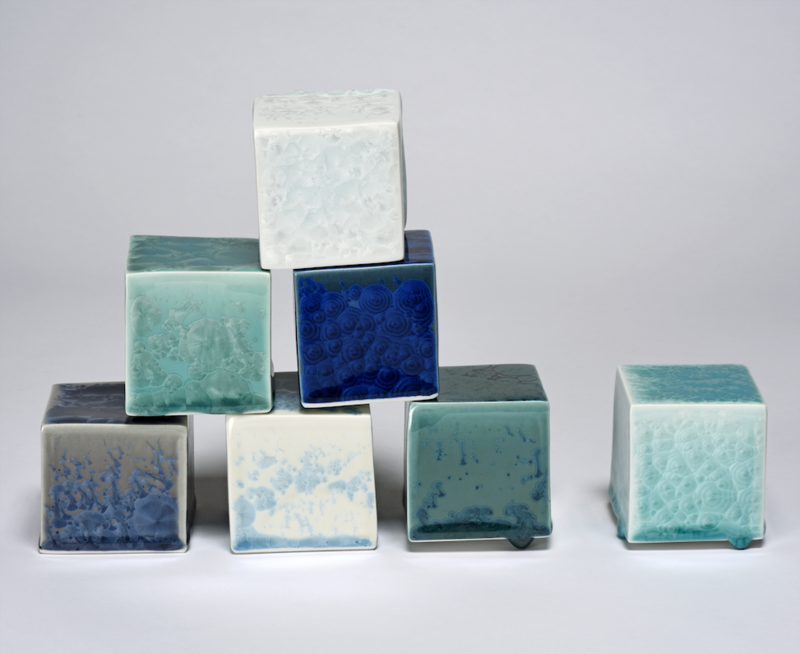 It also allows him to test and compare five different thicknesses of the glaze on a single object. 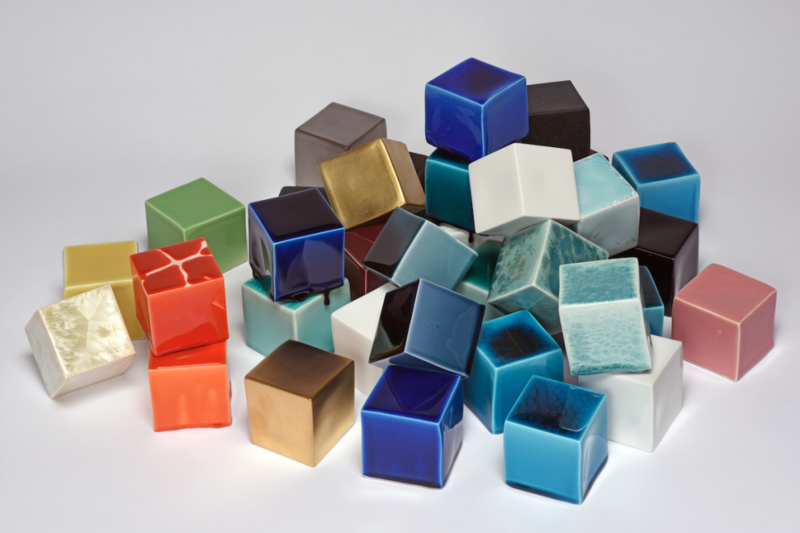 This scrupulous process of glazing has resulted in over 200 cubes that are both visually striking and an archival body of work. 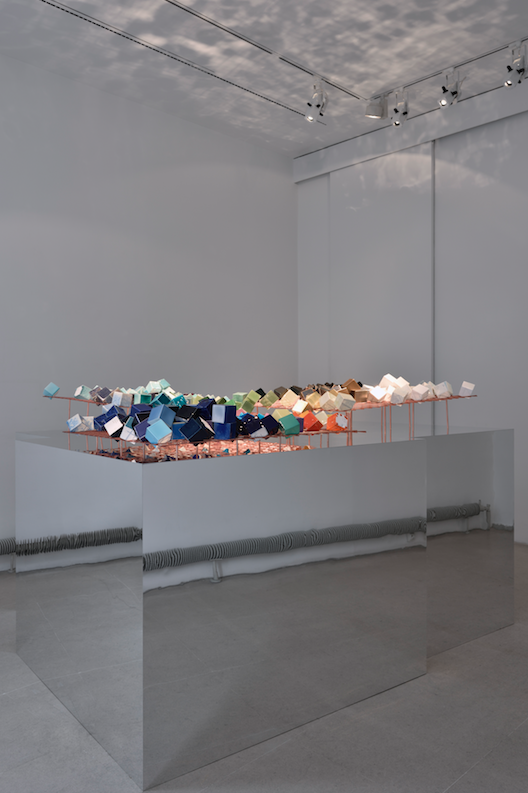 This palette of hexahedrons (which is any 3D shape with six sides) is presented in all its colored glory at the Sévres – Galerie de Paris in the exhibition La Bibliothèque est en Feu – Emmanuel Boos [The Library is on Fire – Emmanuel Boos]. 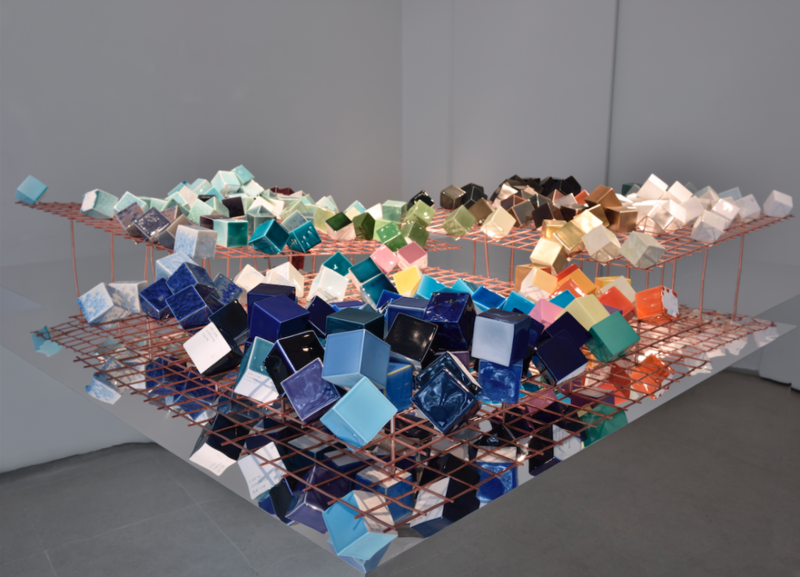 The dramatic title of the exhibition is derived from a collection of poems published in 1956 by René Char (1907-1988) as well as referencing the method of firing ceramics and glazes at extremely high temperatures. 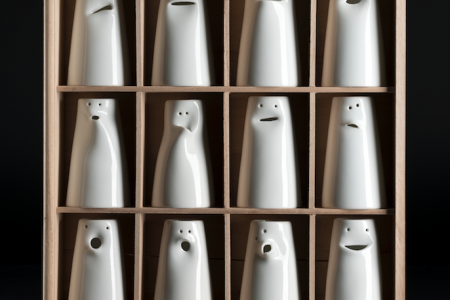 Complementing this extensive collection are smaller sets of tests which Boos has grouped based on their techniques, components, the dominant color or history. 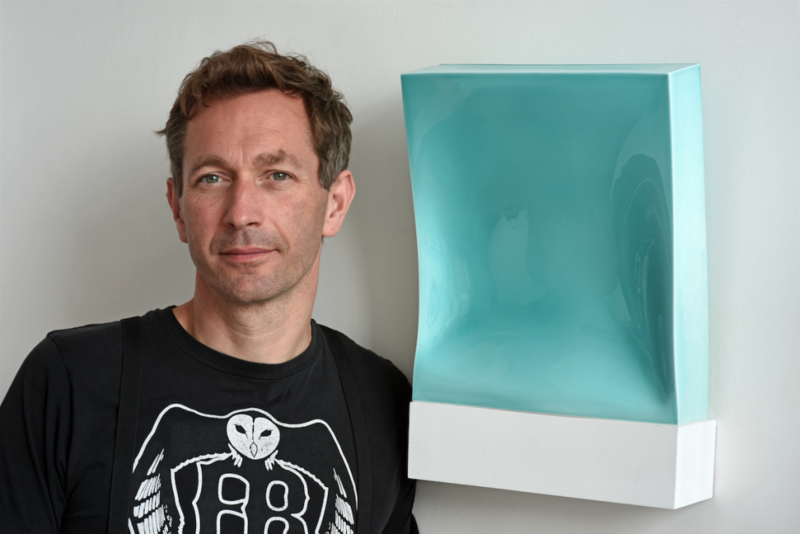 Throughout his career, Emmanuel Boos has defied the categorization of ceramicist by making the enamel itself his dominant material. 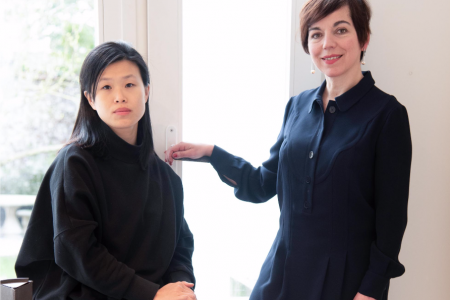 This has led him to an apprenticeship with the Master of Art Jean Girel for the porcelain French tour, a residence at the Alfred University of New York in 2004, and finally a Ph.D. on the ‘Poetics of Enamel’ at the Royal College of Art in 2006. 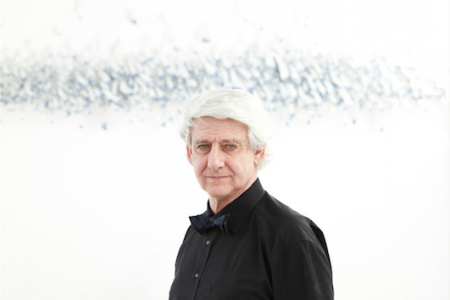 He has won several prizes and his work has been exhibited on a number of occasions including the Ceramics Biennale of Châteauroux, (2017) and many solo shows. 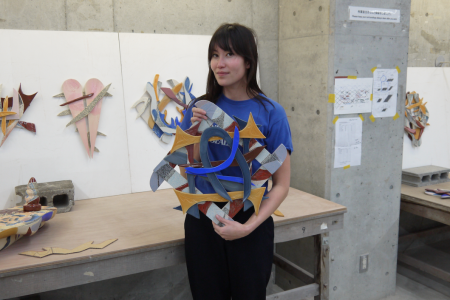 Straddling the bridge of scientific approaches, material research, and art, Boos’ multicolored library show just how much possibility there is in the world of glazing.